Recently I reviewed THE DEBT, an American film in which three Mossad agents in the nineteen-sixties are charged with the task of capturing a Nazi war criminal and returning him to Israel to face trial. Something goes wrong, lies are fabricated, and for decades the trio are treated as heroes based on a distorted version of the facts until a newspaper story threatens to unravel their deception. That basic plot was first put on film to much better effect in 2007's award-winning Israeli film of the same name (Hebrew title Ha Hov). This original version of the film is currently unavailable on home video in the U.S., but you can catch it this week at the Cleveland Cinematheque. The differences between the two versions are apparent immediately just by taking a look at the running time of the two films. Ha Hov is a taut 90 minutes, almost a half hour shorter than John Madden's remake. The pointless love triangle subplot that bogged down the more recent film is not present in the Israeli version, allowing us instead to focus on the main plot and themes. I did enjoy the additional action/thriller moments the remake added, but given the more serious tone of the Israel version, they probably would have been out of place here. 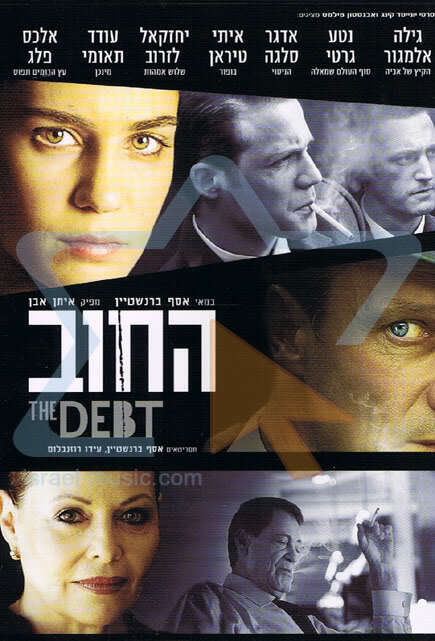 And perhaps most importantly, the ending of the Israeli film is much stronger, really driving home the meaning behind the film's title and the costs that making good on that debt incurs on the protagonists. There may not be any actors familiar to American audiences here, but the performances are just as effective, and the absence of star power helps remove a layer of distraction (oh, that's Helen Mirren! She's always so good!) and distance from whats happening on screen. As an Israeli, Director/co-writer Asaf Bernstein has a real connection to and investment in this material that just isn't there in the American version. It's clear that this story means something to him, and that he is trying to say something about his people and country coming to terms with their past. There's a hint of that in the American version, but at the end of the day its more of a slick Hollywood thriller than a film of real substance. Nothing against slick Hollywood thrillers, but in this case a little more gravity and intelligence are called for, and that's why if you have any interest in seeing this story told, you she see it in its original form. 3 1/2 out of 4 stars.